It’s 1961. JFK becomes US President. The Beatles debut in London. The Russians put the first human into space. Tony Chow arrives at Brandon College—the first World University Service (WUS) Scholarship student on campus. Dr. Chow had travelled halfway around the world to Brandon College to start his pre-medical studies. He would become one of North America’s top experts in infectious diseases, establishing one of the first accredited Infectious Disease Training Programs in Canada and creating the first Hospital Infection Control and Antimicrobial Stewardship programs in North America. “It was always my dream to go into medicine,” says Dr. Chow, honoured in 2013 with a Lifetime Achievement Award from the Association of Medical Microbiology and Infectious Disease (AMMI) Canada, for his work as “an exemplary researcher, teacher, mentor, and leader”. Born in Hong Kong, and educated by Irish Jesuits in a Catholic School, Dr. Chow’s family had been forced from mainland China during the Second World War. “As war refugees, we were not well off,” he says. 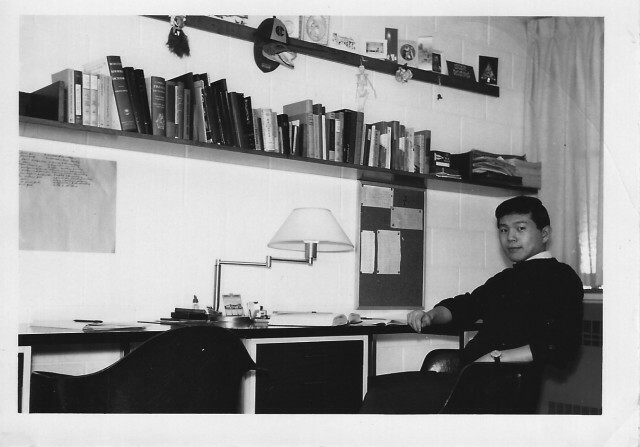 Fortunately, Dr. Chow won the right to apply for the WUS Scholarship because of his remarkable grades. With his wife Katherine, whom he had met at the U of M, Dr. Chow moved to southern California in the early 70s to train at UCLA in the relatively new specialty of Infectious Diseases. In 1979, he jumped at the opportunity to return to Canada, accepting a position to establish a new Division of Infectious Diseases at the University of British Columbia (UBC) and Vancouver General Hospital—a first of its kind in Canada. “I know it sounds corny, but I wanted to pay Canada back for what it had given me,” says Dr. Chow. On the frontlines for more than 30 years, Dr. Chow has witnessed the onslaught of emerging and re-emerging infectious diseases and outbreaks, including HIV/AIDS, SARS, superbugs, Avian Flu, antibiotic drug resistance, and Ebola Fever. Dr. Chow retired from clinical practice and administrative responsibilities in 2007, yet remains engaged in the development of practice guidelines for both the AMMI and the Infectious Disease Society of America. He is Professor Emeritus at UBC and active on the Board of Directors of the Canadian Foundation for Infectious Diseases.